The moment when you realize you have a dead battery is never an easy one to get through–and that goes double for those who drive a hybrid car like the Toyota Prius. If you have a dead battery, don’t worry: you can learn how to jump a Toyota Prius in just a few short minutes. Although there are a number of nuances that you should be aware of, jumping a Prius isn’t that much different from jump-starting any other sort of vehicle. 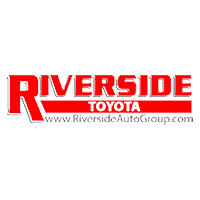 Riverside Toyota has laid out everything you need to know, below. Find the fuse box under the hood of your Prius. You’ll find the jump start terminal beneath the cover. Connect the red (positive) jumper cable to the positive terminal in your car. Go over to the assisting vehicle, and connect the other end of the red cable to their own positive terminal. While you’re under the hood of the other vehicle, connect the black (negative) cable to the assisting vehicle’s negative terminal. Instead of attaching the second negative clamp to your battery, step back and secure the negative terminal to an unmoving, unpainted metallic surface. The driver of the assisting vehicle should start their engine now. Let it run for five minutes while it delivers a new charge to your battery. From here, you should have no trouble starting your car. Press the ignition and wait for a “Ready” notification to display itself. Disconnect the jumper cables in reverse order. This process should work for any and all of the available Toyota Prius models. Don’t hesitate to reach out if you’re uncertain about the jumping process for your vehicle. Concerned that your battery may be dying? Schedule a battery checkup at our Rome service center or pick up a new Prius battery at our parts department. If you have more questions about how to jump a Prius, don’t wait! Contact our service department today, before something goes wrong. If you need a battery replacement right away, well, we can handle that too! If you’re located in the Calhoun area, start exploring our rotating auto service coupons today.